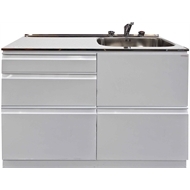 New 1120mm wide laundry center with offset basin giving the widest possible uninterrupted bench space while still featuring a full size seamless laundry tub. 4 drawers featuring three different sizes able to accommodate the largest and smallest sized laundry items with ease. All pressure 40mm mixer tap. Under mounted pressed stainless steel tub. 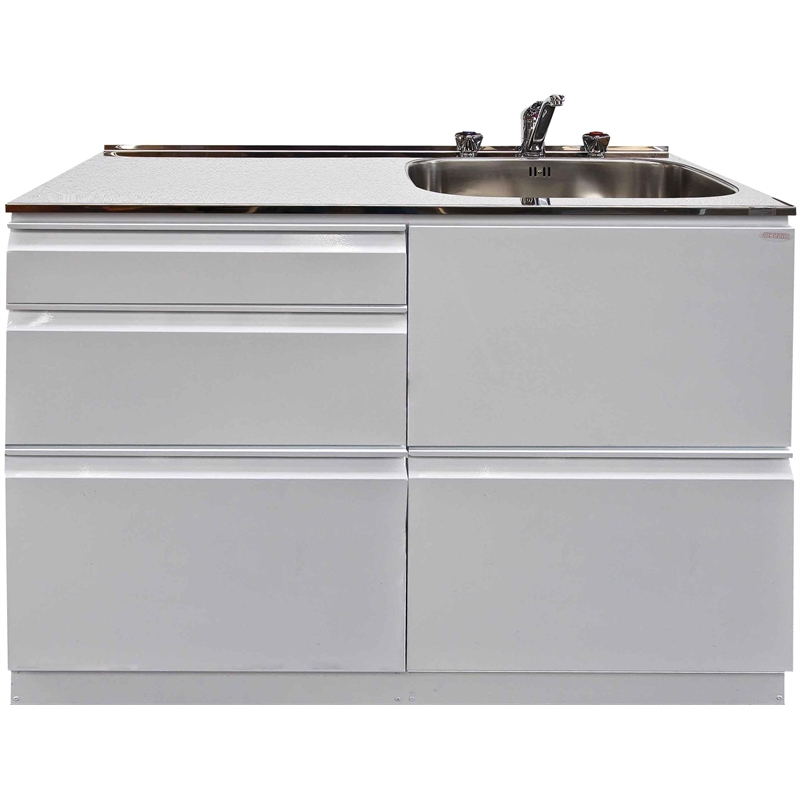 4 x 450mm deep drawers, Top mounted 1/4 turn washing machine taps. 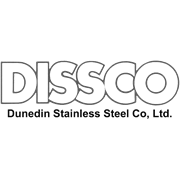 Product that has been installed and found to be faulty should be notified to Dissco as soon as possible so that prompt remedy can take place. Claims for warranty service should be made by the owner direct to Dunedin Stainless Steel Co Ltd. Ph. 03 477-3448 fax 03 477 3101 email info@dissco.co.nz. This product is 99% recyclable. installation/information sheet is generic and may refer to left hand positioned tub.